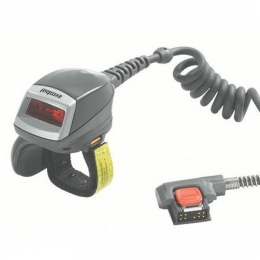 With the RS4000 ring scanner Zebra focuses on productivity users simply attach the scanner to their pointer finger. This leaves both hands free at all times, making the scanning process secondary. There is no need to switch anything off or get something out of the bag you have everything you need on your finger. The corresponding Zebra WT6000 wrist computer also ensures that you have information reliably at your disposal. Connect the RS4000 easily via cable and you are ready to go.